Want to Volunteer to help the animals? 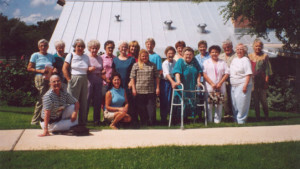 The Humane Society welcomes volunteers for our many programs. Our organization depends on Volunteers! Walk and Play with the Pets! We are in desperate need of more volunteers to walk and play with the dogs and cats and give them hands-on care. Contact the Shelter office. Come work in our Resale Shop for an hour, a morning, an afternoon, or more if you have the time. Help to maintain our lovely yard — trimming, weeding, mowing. Or just spend time with our animals — the more human attention they get the better socialized they are — and socialized animals are more adoptable. Any amount of help you can give is much appreciated!! Remember, only an hour a month is a huge help to benefit the animals! Send us your contact information and let us know how you would like to volunteer.